- Asecure method to protect crops from insect pests without using chemical pesticides. We are among the reputed organizations, highly engaged in manufacturing an optimum quality range of Insect Light Trap with Electric Bulb. Made of mild steel and a box at the bottom for placing killing tray. 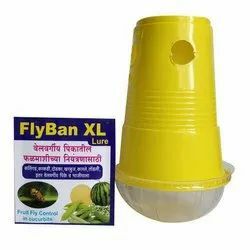 Funnel length 30 cm, size of box 40 x 40 x 25 cm, funnel fix into box convenient collection of trapped insects into the tray. Provided with a 10 watt CFL and electric cord. Made of MDF framework. Safe Place for keeping Hurricane lamp. Two slanting transparent glasses for convenient trapping the insects. Space below glass for keeping killing tray. Finished in spirit polish. 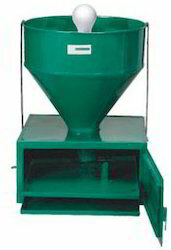 Due to our in detail domain proficiency, we are occupied in offering a quality range of Cockroach Trap Round. The entire collection we offer is developed using first-class quality material and urbane machines in conformation set industry standards. Our offered products are mostly used in bathrooms at homes and other places. 5 Inch Round Anti Cockroach Trap With Locking cut (2) Is Widely Used In Home Bathrooms Hotels Resturants Etc.